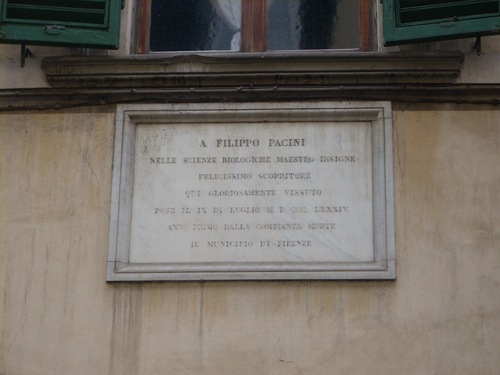 Italian anatomist Filippo Pacini lived in this house in Florence (via di Mezzo, 27) as remembered by the memorial tablet, placed here in 1884, a year after his death, by the municipality: "A FILIPPO PACINI / NELLE SCIENZE BIOLOGICHE MAESTRO INSIGNE / FELICISSIMO SCOPRITORE / QUI GLORIOSAMENTE VISSUTO / POSE IL IX. 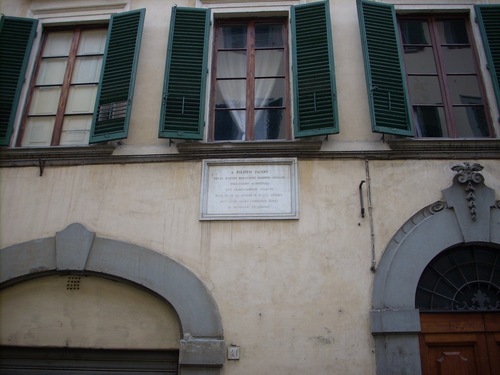 DI LUGLIO M. D. CCC. LXXXIV. 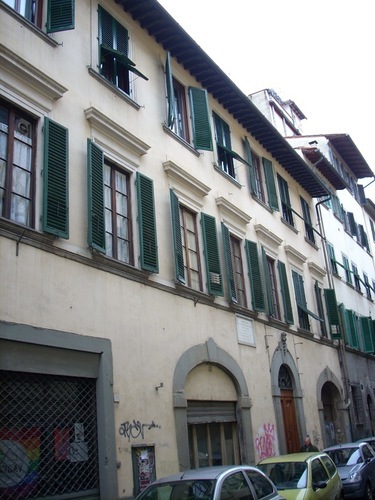 / ANNO PRIMO DALLA COMPIANTA MORTE / LA MUNICIPALITA' DI FIRENZE".